Rich Dyer, Jon Erickson, and Patrick Gross – Promoted to Principals | Morris & Ritchie Associates, Inc.
We are delighted to announce the promotion of Richard J. Dyer, PE, SE, SECB; Jon K. Erickson, PE, LS; and Patrick Gross, CPA, to Principals of MRA. Rich joined MRA in 2007 as a structural engineer and has over 17 years of experience in the field. 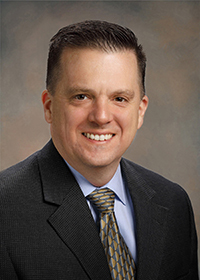 He is responsible for managing a wide variety of projects from our Towson, MD office including: wireless communication facility designs (telecommunication and transmission towers, rooftops, water tanks, light poles, and sign support structures), wireless switch facilities, bridges, buildings, and earth support structures. He has extensive experience with design and analysis of various structural systems, including steel, traditional reinforced and prestressed concrete, timber, masonry, aluminum, and light gauge framing. Rich earned his Masters of Civil Engineering with Focus in Structures from The Johns Hopkins University in 2008, and his Bachelor of Science in Civil Engineering with Focus in Structures from University of Maine in 2000. He is licensed to provide professional engineering in MD, VA, DC, DE, PA, NY, WV, MA, NC, and TX, structural engineering in IL, and is currently becoming licensed to practice professional and structural engineering in CA. Projects that Rich is currently managing include the Baltimore Gas and Electric Substation Network Expansion, the Wilmington, Annapolis Junction, and Chantilly Mobile Switching Center (MSC) Expansion Designs, and the NYC 140 West Verizon Cabling Management Design. He also heads up MRA’s Tower and Mount Analysis and Modification Design Division. Rich is a member of the American Society of Civil Engineers, the Structural Engineering Institute, the American Institute of Steel Construction, and the National Society of Professional Engineers. Jon is a licensed professional engineer and land surveyor who opened MRA’s Sterling, VA office in 2012. With more than 23 years of experience, he is responsible for supervision, management, and design of development projects, preparation of feasibility studies, construction inspection, and quality control for all site/civil and surveying projects performed at the office including projects for real estate and commercial developers, homebuilders, architectural firms, and government agencies. He is experienced in all aspects of land development with large and small residential, commercial, and municipal projects in Northern Virginia and the Shenandoah Valley. Jon received his Bachelor of Science in Civil Engineering, and Associate of Sciences Degree in Civil/Survey Technology from West Virginia Institute of Technology. He is the Social Chair for the North Virginia Building Industry Association, and a member of Engineers & Surveyors Institute (ESI), VA Association of Surveyors, WV Society of Professional Surveyors, and National Society of Professional Surveyors. Jon is currently leading the civil engineering teams for several large single family and multifamily residential projects and numerous assisted care facilities. 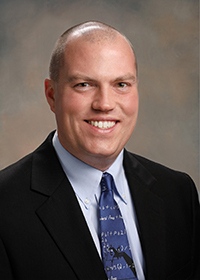 Patrick began his career with MRA’s accounting department in 2000. 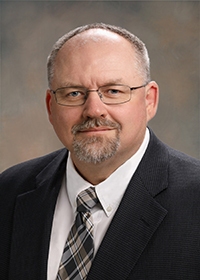 Through the years he held many positions within the department, advancing from Staff Accountant to Assistant Controller and becoming MRA’s Controller in 2013. Patrick received his Bachelor of Arts in Accounting from University of Maryland in 2001. He passed the CPA exam in 2002, and received his MBA from Loyola University in 2007. Patrick maintains close coordination with the Principals of MRA to assist with the management of MRA’s eight office locations. He is responsible for managing the day to day accounting, financial, tax and legal functions of the company. He also is a member of the 401k Investment Advisory Committee, participates in MRA’s annual strategic planning process, and assists with maintaining relationships with MRA’s external advisors, consultants, banks and insurers.